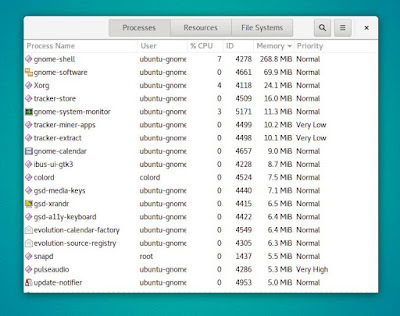 If you curious about GNOME 3.22 and later, and about the next-release of Ubuntu GNOME, then it's good to see what's inside Ubuntu GNOME 17.04 "Zesty Zapus" pre-release. Here I write an overview of its Beta 1 release and showing some interesting aspects such as memory usage, new additions (Flatpak & Snappy), new features (Night Light etc. 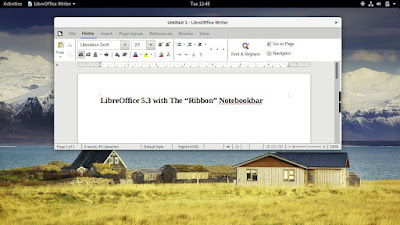 ), and its default apps (LibreOffice 5.3 etc.). This Beta 1 is already very nice and exciting to use. 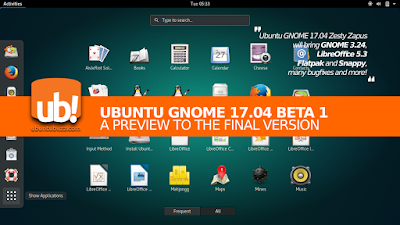 I hope you enjoy Ubuntu GNOME 17.04. Despite the release notes, actually in Beta 1 the kernel version is 4.9.0. 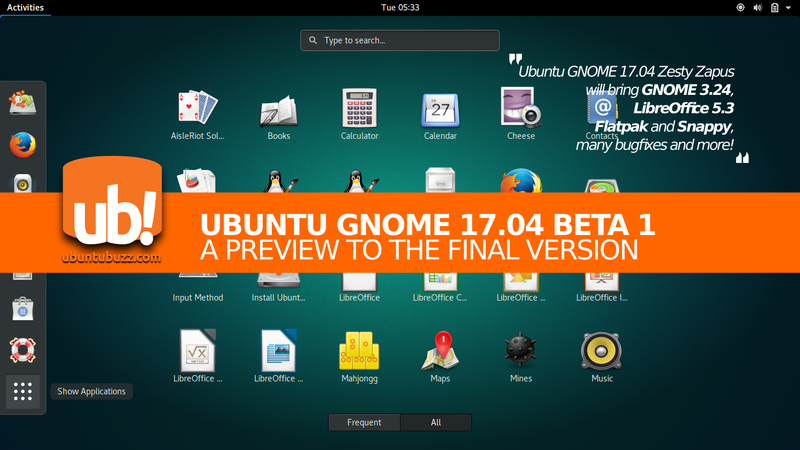 Ubuntu GNOME 17.04 "Zesty Zapus" will be released at April 2017 along with another official Ubuntu Flavors. 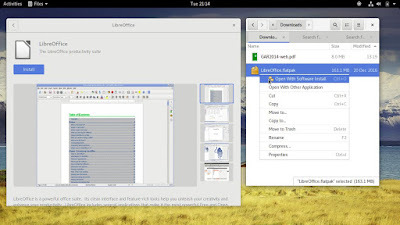 This review uses Beta 1 image that can be downloaded here http://cdimage.ubuntu.com/ubuntu-gnome/releases/zesty/. I downloaded at March 13th, the "2017-02-19" timestamped ISO image. 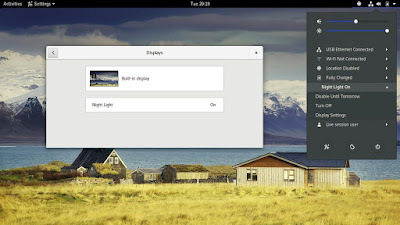 If you want daily build images, see here http://cdimage.ubuntu.com/ubuntu-gnome/daily-live/current/. 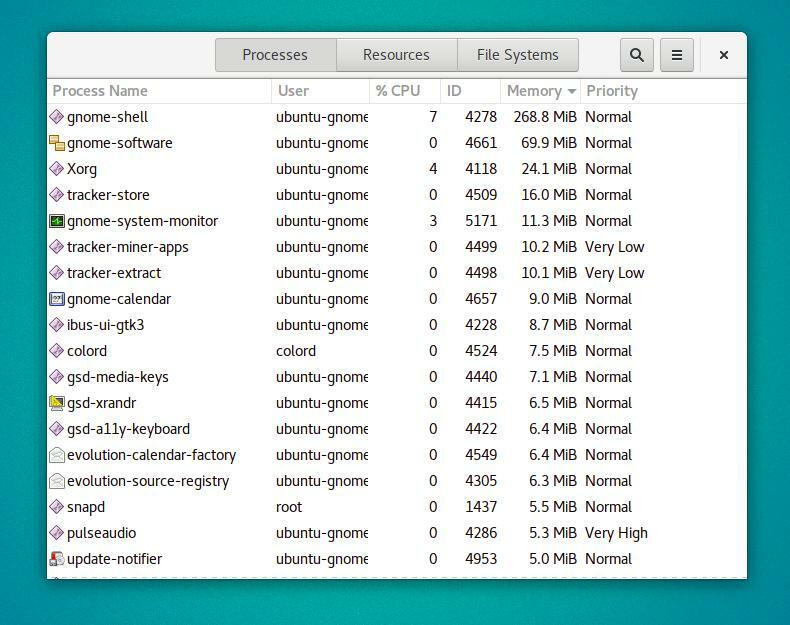 Ubuntu GNOME 17.04 consumes around 1.4 GB or RAM at idle time. 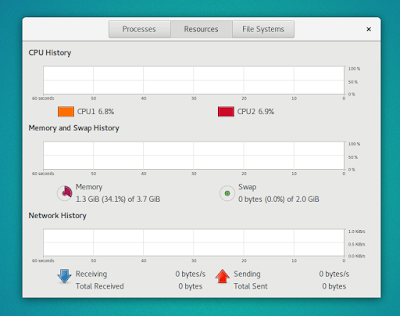 It's surprisingly huge, especially when compared to Ubuntu 16.10 (1 GB), deepin 15.4 (~500MB), and KDE Neon 5.8 (~300MB). Seeing this, any mid-low computer can not run it. The Beta 1 version I run has GNOME Shell 3.23. 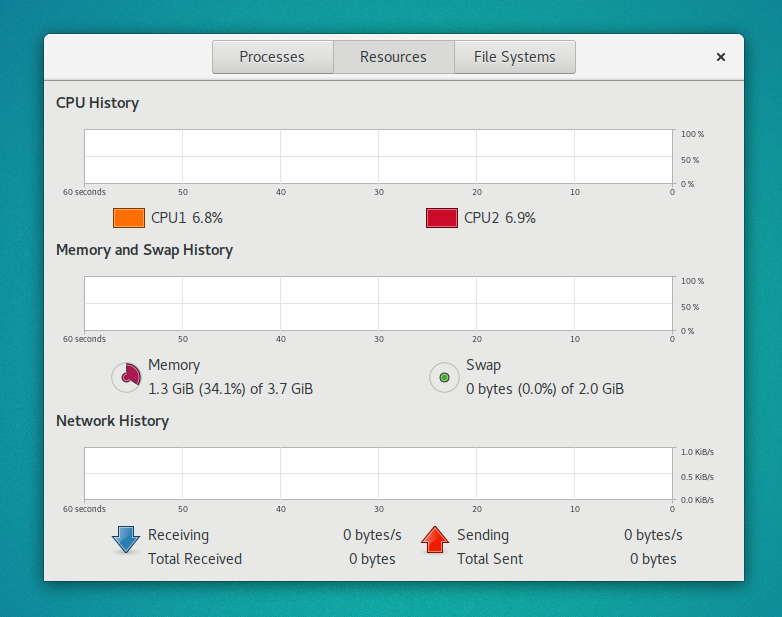 The most consuming process is gnome-shell, for around 270MB of RAM. Since GNOME 3.24 got new Night Light feature, Ubuntu GNOME 17.04 got it too. This feature is similar to Redshift in case you can prevent eye-strain by reducing blue light from your screen. To enable it, go to GNOME Control Center > Display > switch Night Light on. Flatpak is now installed by default. And the Software Center can install .flatpak package now because GNOME Software included is 3.22. You can now do right-click on a .flatpak package and choose Open with Software Install. 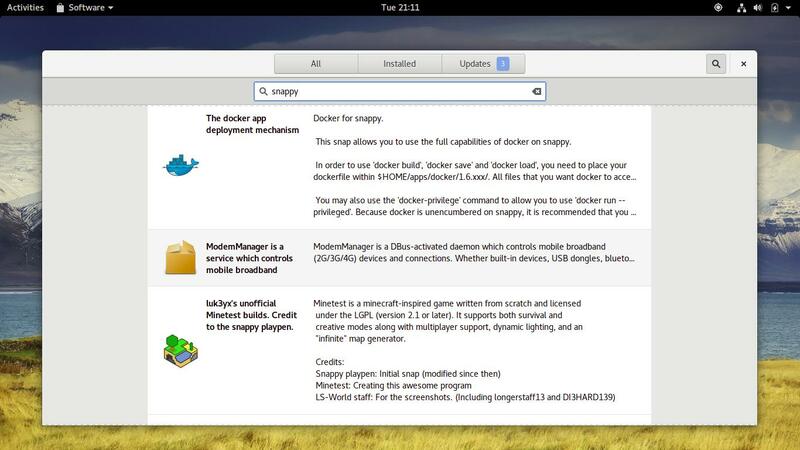 Beside Flatpak, Snappy system is now also installed by default. This including the command lines snap and snapctl, and of course the service snapd. The Software Center now can search and install Snap packages like the default APT repo system. Ubuntu GNOME 17.04 ships with Wayland. But the default display server is still X11, while Wayland session is not enabled by default. 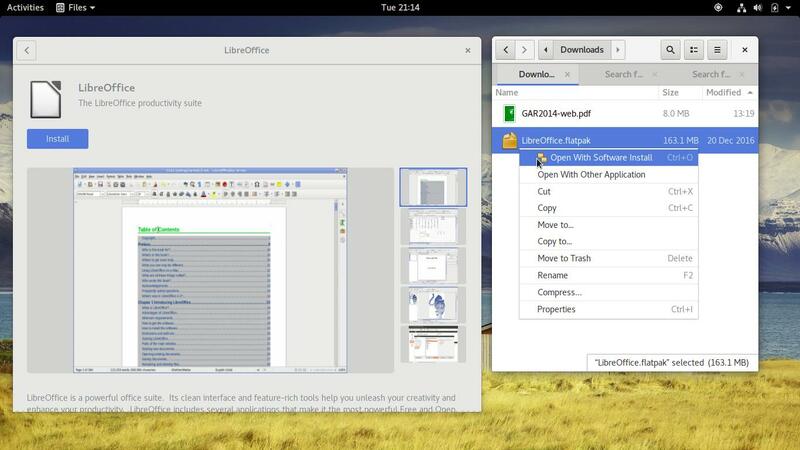 The Nautilus file manager in Beta 1 cannot show image thumbnails preview. This is the most noticeable problem we can experience directly.